August has not been kind to my garden . The cruelty of spring ? Nope, not at my house . Everything here has just about grown to death-and a week on the road with no recuperation day before returning to the office didn't help much . Looking perky and lush in the bosom of destruction is my new Restio, Elegia capensis. Not only a new Restio, but my only Restio- a souvenir of the farewell cocktail bash at Flora Grubb on the last evening of Garden Bloggers Fling . 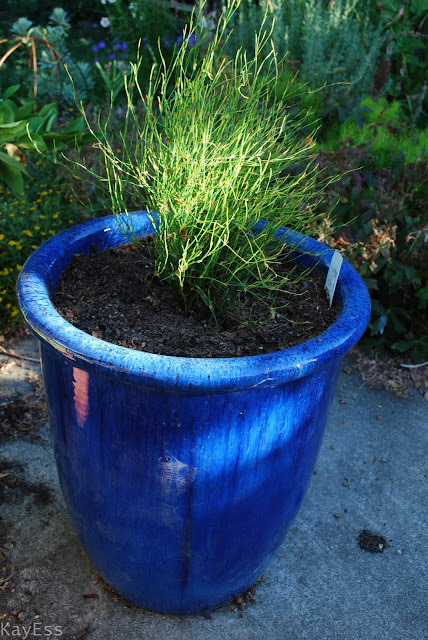 It sat in it's 4inch nursery pot for at least a month until I was able to acquire a nice blue pot for it to live in. It looked pretty silly when first planted it , and still is out of proportion, but I expect by late spring of next year it will look just fine. One of the few things in my garden right now that isn't overgrown, flopping, or browning out. Travel on business to Boston put me in close proximity to my New England Idyll friends, so it was clearly imperative to squeeze out a couple of days to visit at least one of them. A rental car and an easy one hour drive on Saturday afternoon and I was in garden nirvanah ..Deannes wonderful garden in New Hampshire , with great food, great wine and sterling company. I'm still in recovery. The Tropical Border. I often speculate about the reactions of people who innocently wander on to Deannes street and are confronted with this.. 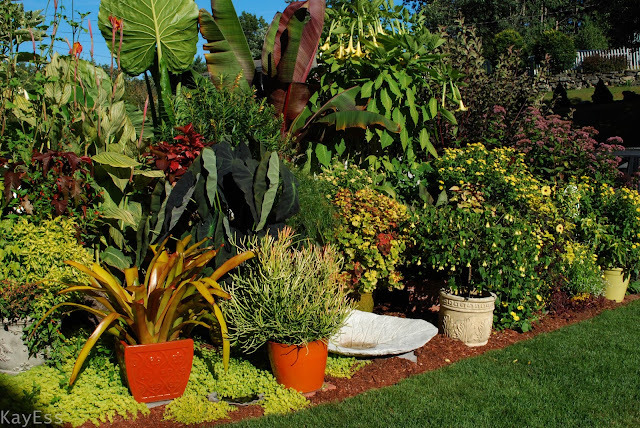 I wonder how many private gardens in New Hampshire have Bromiliad Trees ? Two views of this one. Deannes collection of Bromiliads will be the subject of a future post. She seems to be making no attempt to control her addiction to this genus.. I think it's the basic architecture that appeals to me ; and since it is not hardy here I bring it inside every winter without fail and give it a place of honor in the house where I can look at it all winter. I've had it a few years and it hasn't grown much; I repotted it in spring and added another small 2" plant that I got at the SF Garden Show. This is the first time it has bloomed, and I am ridiculously excited. But I love the foliage most of all. Maybe that makes this a quasi Foliage Follow Up post ??? 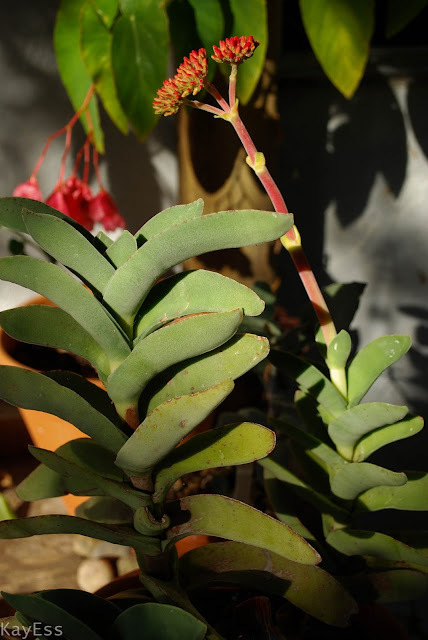 San Marcos Growers says it is native to South Africa , and grows to 2ft tall. At the rate mine is growing by the time it hits 2 feet I'll be shuffling around the garden with my cane and a bottle of Geritol. Checking in from the left-coast here, where the time zone stragglers post as the folks back east are pulling up the covers and dozing off. 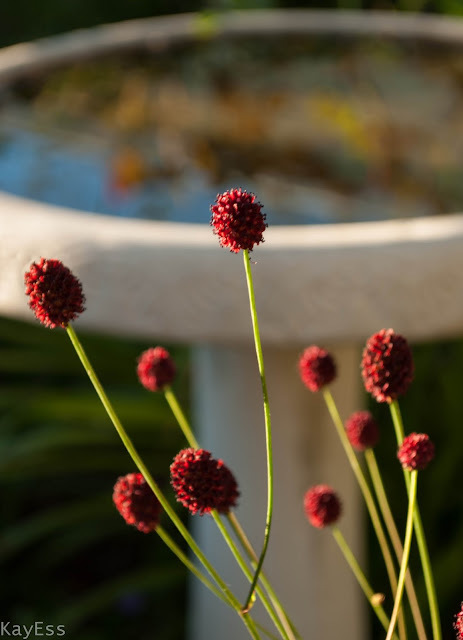 Sanguisorba 'Chocolate Tips' ..I'm having a great time collecting Sanguisorbas-they are never seen in garden centers here .All of mine have either been purchased n Washington/Oregon or at Digging Dog. I'm thrilled with this Persicaria, but it absolutely clashes with almost everything in it's immediate area. It will have to be moved in fall. One of my ever diminishing Roses, this is 'Jeane Giono' , a keeper. Clematis 'Rooguchi' , it's in the top 5. Clematis 'Arabella' ..ditto above. Flowers, seedheads, puffy seedheads. Hail Arabella. More Persicaria action..no clashing here. This Lantana in the hell strip dies to the ground every winter-this year it has some reversion going on. It's high Dahlia season..this is 'Bahama Mama' . 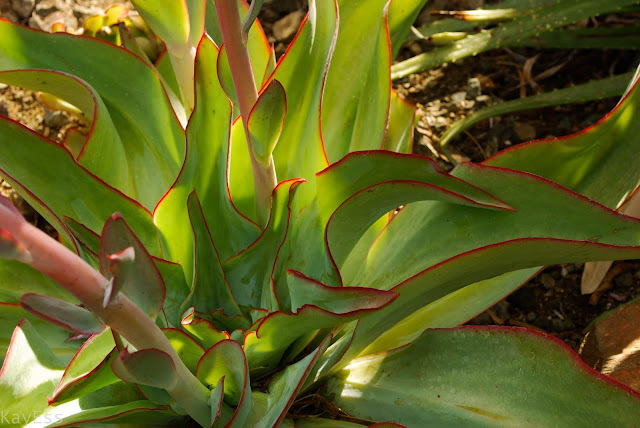 Saturday morning I attended a members-only photo workshop at the Bancroft Garden, which happily started at 8am, a full two hours before the garden opens to the public. I never turn down an opportunity to get entry to a public garden when light conditions are relatively conducive to getting decent images. Our leader was photographer John Ricca, and class size was limited to 10 -we all had ample opportunity for one on one consultations . Though Mr Ricca is not a 'garden' photographer per-se , there are principles that span all genres and much of what he said was useful to me . Best of all, the light was wonderful , transitioning between bright overcast and mild sunlight as the marine layer burnt off. 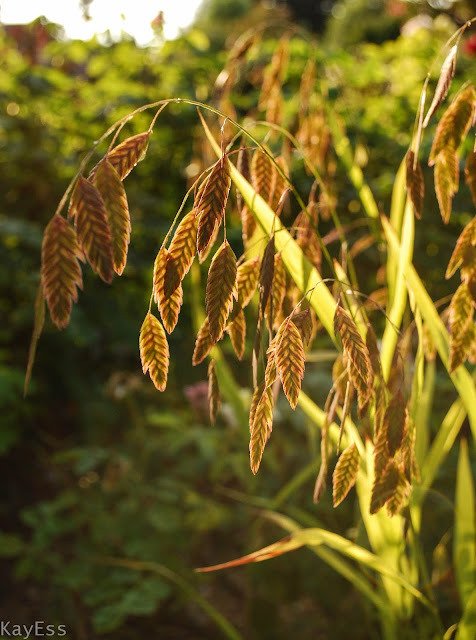 This week I have spent a great deal of time looking at and touching Chasmanthium latifolium, 'Northern Sea Oats' . A freak June rainstorm caused a bit of splaying and flopping , but it does swish and rustle pleasantly when I brush against it as it reclines toward the path. I also own a variegated version of this, though it is much less vigorous and desperately needs to be moved , for it is in the root zone of a large, mature Liquidambar . I find the tactile characteristics of the blooms very magnetic..I can never walk past this plant without touching it..even better than popping fuchsias if you ask me, and lets face it , popping fuchsias is pretty damn compelling. Chasmanthium makes me think of flat , warm coins. Thin coins, like dimes .